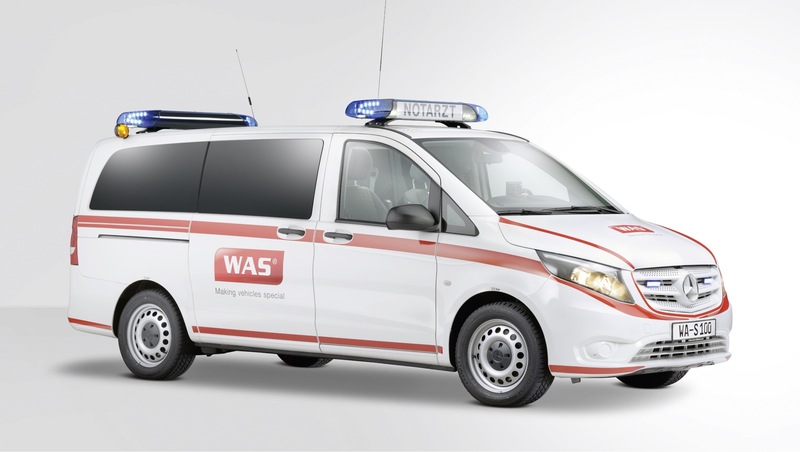 A generous interior and various engine versions of the Mercedes-Benz Vito offer the best conditions for a conversion to a fi rst response vehicle. Upon request, the vehicle is delivered with a 4-wheel-drive. 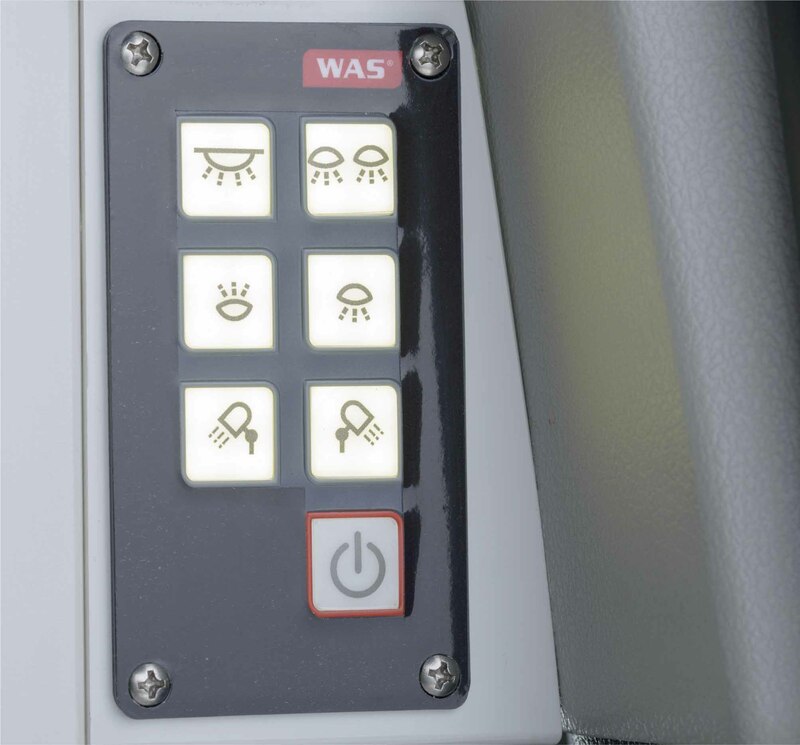 A perfect use of space assures both an easily accessible accommodation of the equipment and a maximal security for the crew. 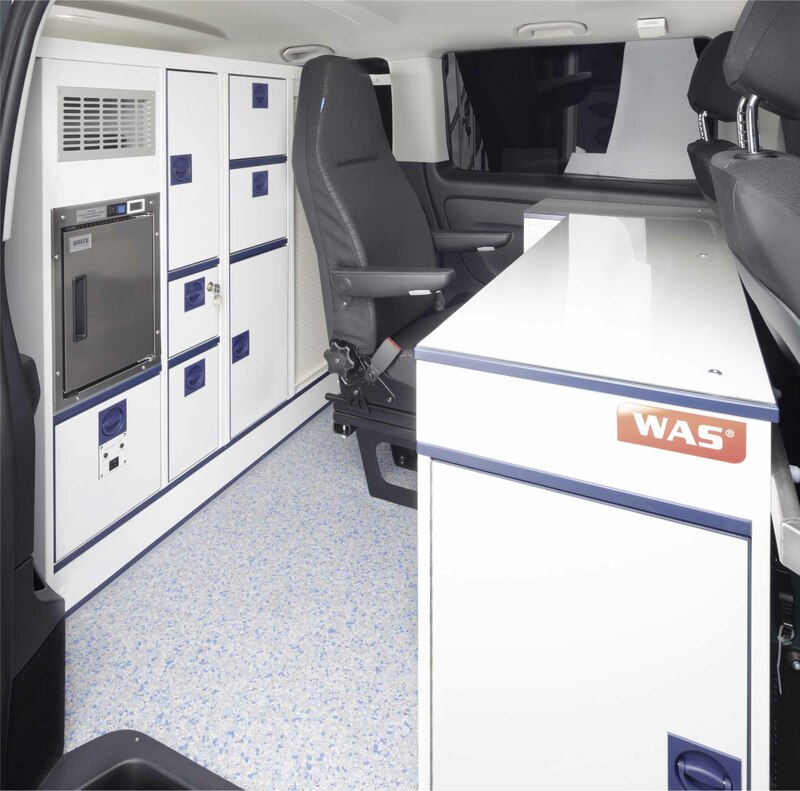 The interior of the vehicle has a working desk, an individual seat type M1, a communication system and storage compartments – thus the requirements for the different interventions are perfectly satisfi ed. Even organisational work is treated in this working area. 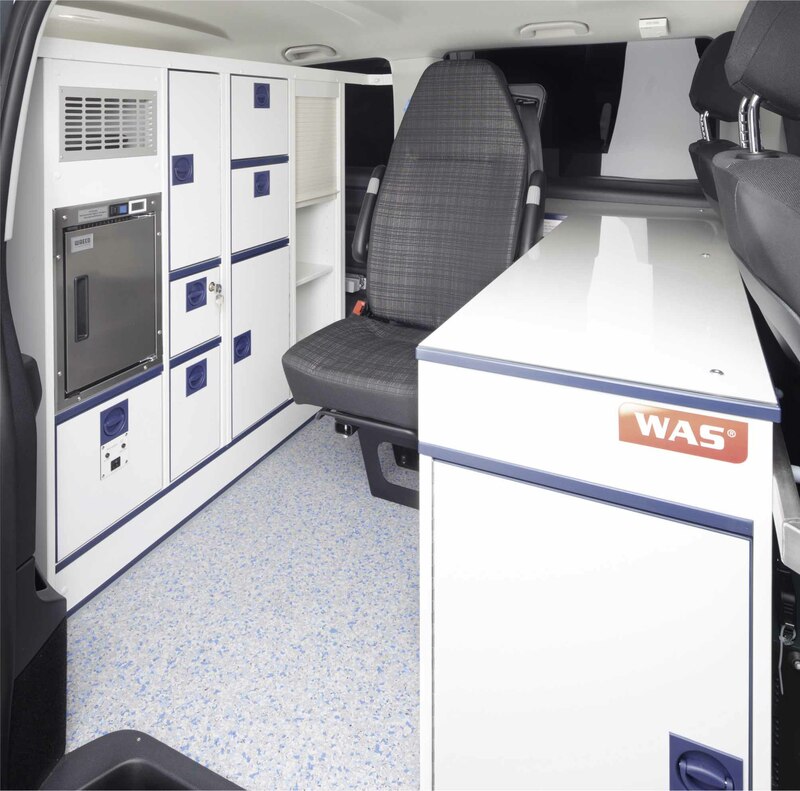 In the rear part of the vehicle, the new modular cabinet system, designed by WAS, offers maximal storage space. 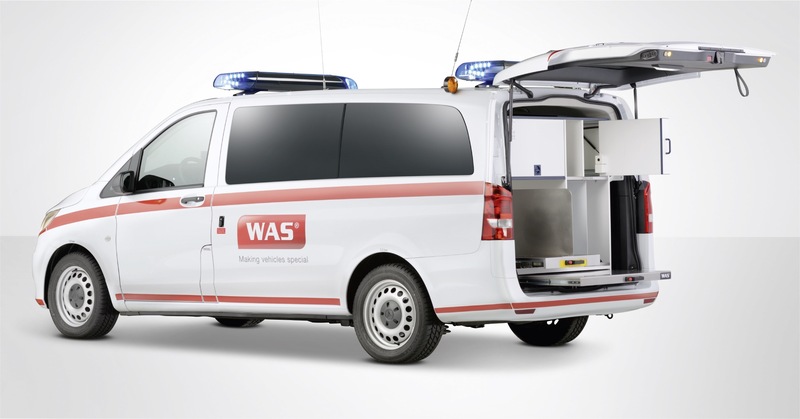 Based on the experience of hundreds of first response vehicles built by WAS, this new concept offers a maximum in ergonomics and comfort. The cabinet is accessible from the inside and the outside via the side sliding door and the tailgate. 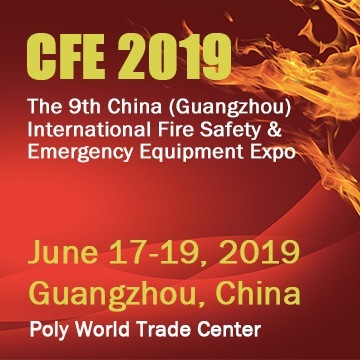 Special attention is given to the different installation methods of the medical devices. 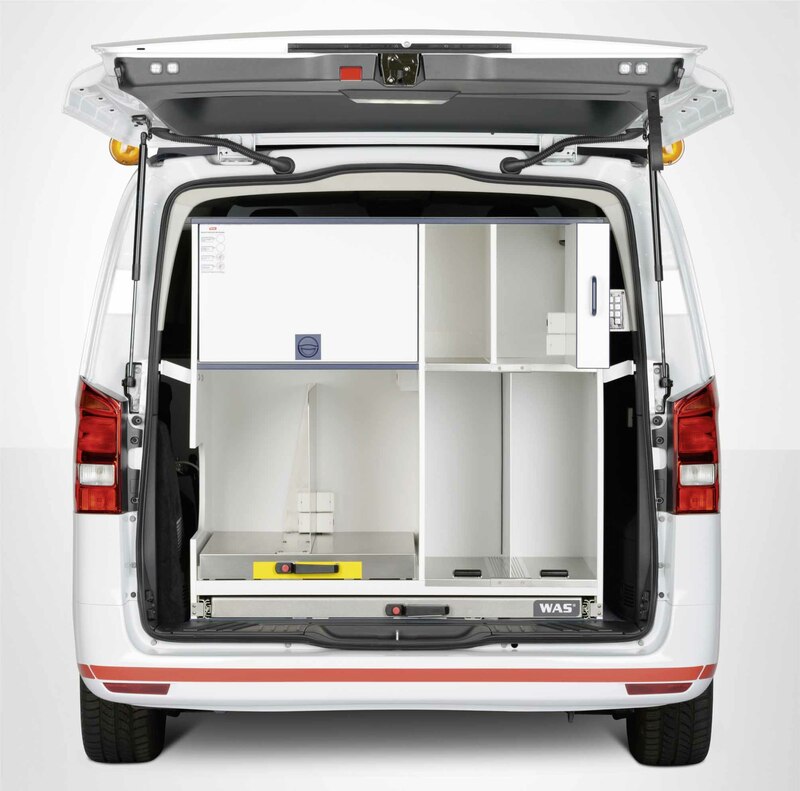 The equipment can be easily accommodated in the modular rear cabinet system. Even if the medical equipment is changed, it can easily be positioned in the modular cabinet system. 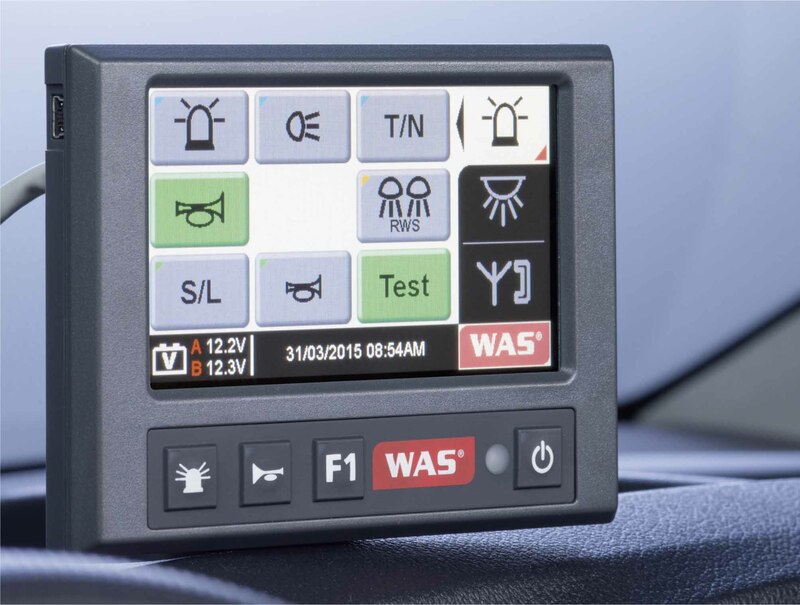 Different cabinet modules available offer an individual design and a fl exible use. All medical devices are supplied by means of integrated plug-in connections. 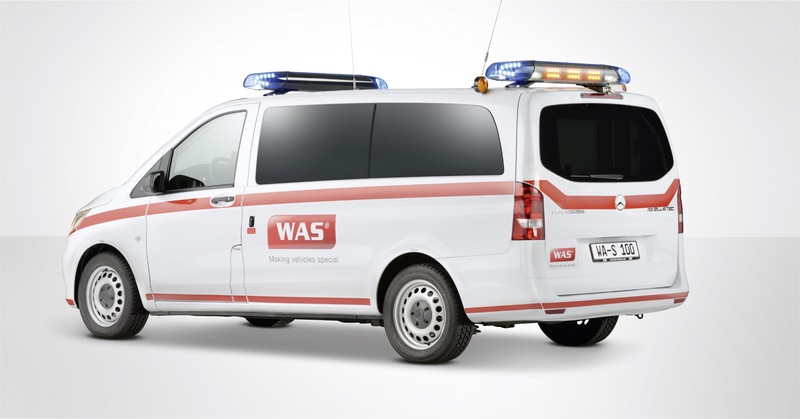 This fi rst response vehicle meets the high requirements of standard DIN EN 75079.